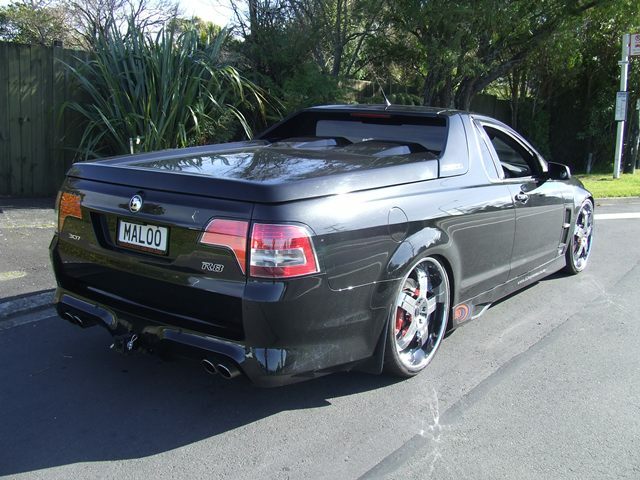 “The HSV Maloo is a performance coupe utility which has been produced by Holden Special Vehicles since October 1990. All versions of the Maloo have been based on the mainstream Holden Utes, but have featured high-performance V8 engines and body kits. 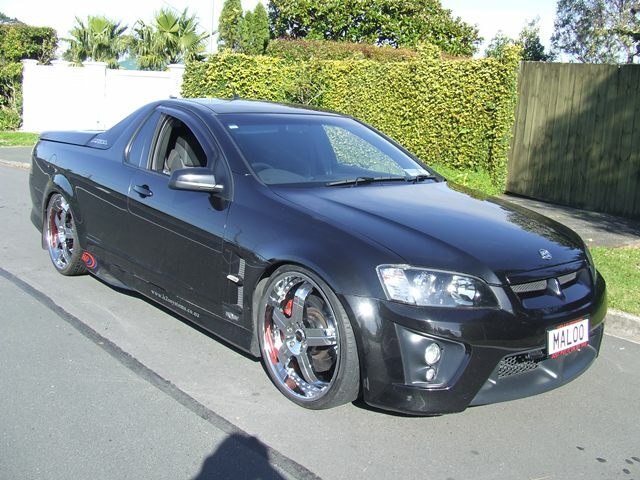 In June 2006, a regular production item Z-series Maloo R8 broke the record for the world’s fastest production utility/pickup truck, at 271 km/h, (168 mph) beating the previous record holder, a Dodge Ram SRT-10 by 22 km/h. The name ‘Maloo’ is also Aboriginal for ‘thunder’. HSV’s former Managing Director, John Crennan, coined the name for the vehicle from a book of Aboriginal place names. Holden figured out that utes are not all used for carrying stuff. The Maloo is clearly NOT the Ute for Barry Crump to drive around the farm tracks then! THIS Maloo is modified even further by Mag & Turbo Wharehouse North Shore, with HSD adjustable platform struts, 22 x 8 1/2 wheels and 245/30ZR22 tyres front, 22 x 9 1/2 wheels with 285/25 ZR 22 tyres rear ! A real show-stopper- and a real performance machine, if the owner cares to smoke that expensive rubber! Mag & Turbo took the concept even further for one lucky owner. Nothing wrong with modifying cars- so long as they are properly LVV Certified so they are safe, the owner can handle it, and it’s for the purpose intended.